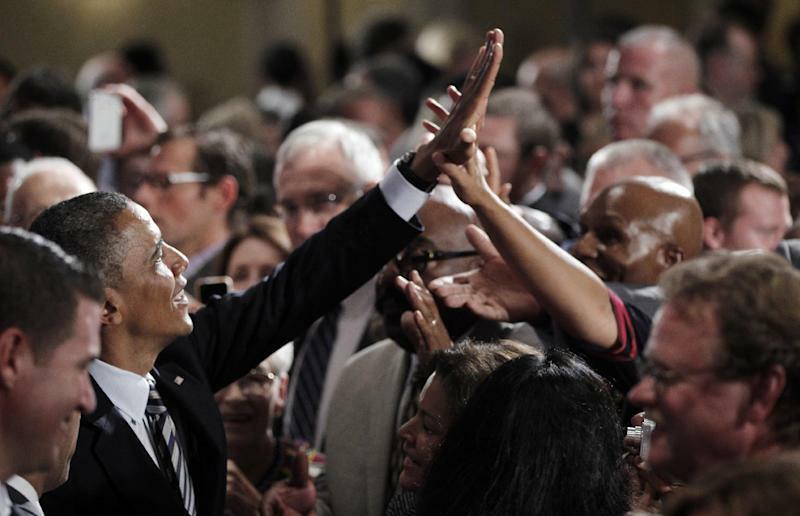 STAMFORD, Conn. (AP) — Can President Barack Obama raise the money he needs to hold onto the White House? Money wasn't supposed to be a worry for the president's campaign, which smashed fundraising records in 2008. But Mitt Romney's team has hauled in more than Obama and his allies for a third straight month, raising the once-unthinkable question. While the race for voter support is tight, according to polls, Romney's robust fundraising and a crush of money from Republican-leaning political action committees have forced the president's campaign to spend heavily through the summer. Highlighting the challenge for Obama, Romney on Monday reported a July fundraising haul of more than $101 million along with the Republican National Committee, compared to the $75 million that Obama's campaign said it had brought in along with the Democratic National Committee. During a fundraiser in Stamford, Conn., Obama said Romney's tax proposal would benefit the wealthy at the expense of many middle-class families. "It's like Robin Hood in reverse," he said. "It's Romney Hood." Romney campaign spokesman Ryan Williams countered that Obama was the only "candidate in this race who's going to raise taxes on the American people." The president also warned that his campaign faced a deluge of Republican money. "Over the course of the next three months, the other side is going to spend more money than we have ever seen on ads that basically say the same thing you've been hearing for the past three months," Obama said, then summarized their argument as "the economy is not where it needs to be and it's Obama's fault." Before Romney's summer surge, Obama had not been outraised by an opponent since 2007. In an email to supporters after the July numbers were announced, the Obama campaign said, "If we don't step it up, we're in trouble." A huge spending advantage in the final months of a close election can help a campaign as it seeks to sway undecided voters. Obama officials say they expected Romney to outraise the president through the summer and have made contingency plans if the disparity continues. Part of that planning has involved heavy spending on ads through the spring and summer in an attempt to define Romney for voters before he has access to most of his general election funds. With the election still three months away, Obama and the DNC have spent more than $370 million since January of last year. In June, the campaign spent more than it brought in. Seeking to keep its coffers full, the campaign has special plans for some donors who live in reliably Democratic states where the president may not visit in the midst of the campaign. They'll get a chance to fly elsewhere in the country to meet him at an event. The campaign has also been raffling off chances for smaller donors to attend meals with the president or attend events with celebrities such as actor George Clooney. 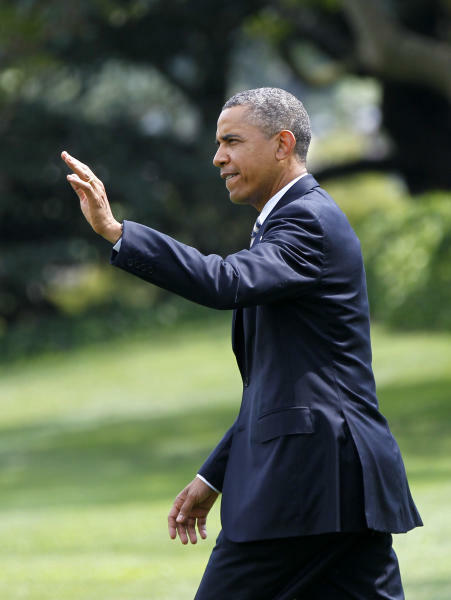 Obama has been spending big chunks of time making his own pleas. He raised money Monday in Connecticut at two events with Hollywood connections. One fundraiser was at the Westport, Conn., home of film mogul Harvey Weinstein, where two Academy Awards sat on the mantle before a group that included actresses Anne Hathaway and Joanne Woodward, the widow of Paul Newman, and writer Aaron Sorkin. Weinstein told the audience that Obama showed he was "not afraid to throw a punch. Witness the raid on Osama bin Laden. You can make the case that he's the Paul Newman of American presidents." The events were expected to bring in at least $2.5 million for Obama's campaign. Romney, who is closing in on his vice presidential pick, spent Monday at his vacation home in New Hampshire, but he, too, has a series of fundraising appearances this week. Obama aides say their campaign is bringing in enough money to stay competitive in television advertising. The campaign has already purchased most of its air time in battleground states through Election Day using money it raised earlier in the cycle. The campaign also has poured tens of millions of dollars into setting up field offices in battleground states, launching registration drives and compiling data on voters — all expensive efforts that could pay dividends for Obama in November. The Romney campaign is still setting up those efforts in some states and will probably have to devote a significant amount of its incoming cash to doing so. Three months from Election Day, Democrats say Romney's fundraising gains have not forced the Obama campaign to re-evaluate its fall strategy, cut back on staffing or shift resources — signs that would show a campaign in financial trouble. Les Coney, a top Obama donor in Chicago, said he had heard "zero concern" among the president's finance committee members that the fundraising disparity could hurt Obama's ability to run an effective campaign. "But obviously we're out there hustling, trying to raise money," he said. "You're always looking for new people to support the campaign." Indeed, Romney's financial advantage means Obama must find time in his schedule to keep personally wooing donors, even as the campaign enters a phase where he will be headlining more big rallies and other public campaign events. Going strong so far, Republicans say they're optimistic that the Romney campaign can keep up its fundraising prowess through the fall, and they point to the campaign's improved use of online efforts to target independent voters, evangelicals and military voters. "We are getting an outpouring of support from, not just Republicans, but independents, Democrats and even former Obama supporters," said Woody Johnson, a major Romney donor and the owner of the New York Jets. "People realize just how important this election is to get our economy going again." Democrats say it's not Romney's campaign fundraising that worries them — it's the influx of money from the GOP-leaning super PACs. Two of the largest Republican Super PACS, Restore Our Future and Americans Crossroads, have raised about $122 million since the beginning of last year. Democratic-leaning groups Priorities USA Action and American Bridge 21st Century have raised about $30 million in the same time period. Priorities is turning to President Bill Clinton — a prolific fundraiser — to help boost its totals. The former president will host an event in New York next week. Obama, after spending two days campaigning in Colorado, will hold three fundraising events in his hometown of Chicago on Sunday, including one at his family's South Side home. The fundraising will be followed by three days of campaigning in Iowa. In order to compensate for the president's divided time, the campaign is turning to a number of surrogates, including Michelle Obama, to raise money. The first lady is holding events in Jackson, Wyo., on Saturday and a family-oriented fundraiser with members of the band No Doubt at the Beverly Hills, Calif., home of lead singer Gwen Stefani. 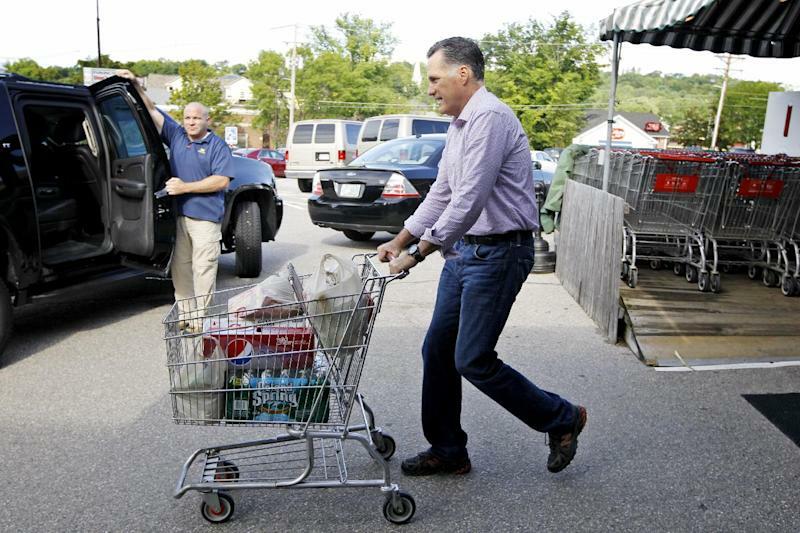 Romney is also dividing much of his time between events with voters and fundraising. He has both fundraisers and public events in Illinois, Iowa and New York this week, then launches a four-state bus trip on Saturday through Virginia, North Carolina, Florida and Ohio. Pace reported from Washington. Associated Press writer Jack Gillum in Washington and Steve Peoples in Wolfeboro, N.H., contributed to this report. Follow Ken Thomas at http://twitter.com/AP_Ken_Thomas and Julie Pace at http://twitter.com/jpaceDC.